A calendar is useful not only for us to refer to the dates but to refer to important events and reminders. Personally I refer to a paper calendar more than I do with a digital calendar. When I was still working, I used the calendar to jot down important deadlines, launch dates and assignments. 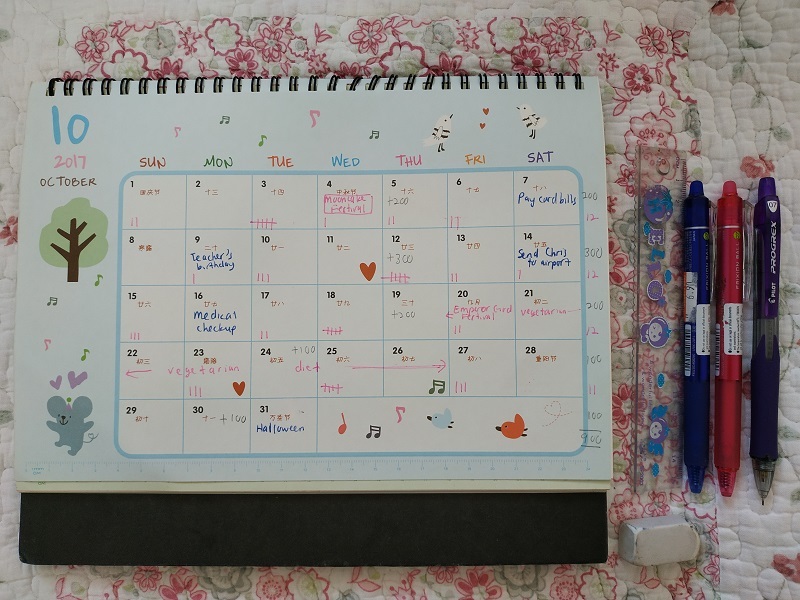 Now, I use it as a family calendar to jot down doctors appointments, days of visiting friends, certain observance dates and other events and reminders. At one glance, I am able to see what tasks I have for that particular week. One thing about digital calendars is that the reminder disappears once it has past the time. For example, I usually set reminders for the due date of my credit card payment to be few days before. Sometimes I did not pay within the time and the prompter is also gone – fortunately I have been able to recall as I have been having the same due date for years. If I wrote down on my table calendar, even if I forget, I would be reminded of it when I check on it again. Note: To simplify matters, it would be good to pay your other bills all on the same day so that you allocate one day in a month to manage all your payments. However, some of my bill payments are handled via automatic deductions from my credit card which is more convenient. Also by placing in common areas like the living room, other family members would be able to see what tasks you may have and may also be able to add on their own tasks on the calendar. This would help when you wish to plan a family event to ensure that everyone is able to make it on that particular date. 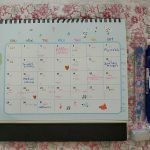 By the simple act of writing down events, appointments, observation dates and due dates on my table calendar, it has helped me to remember tasks and to see all at a glance.